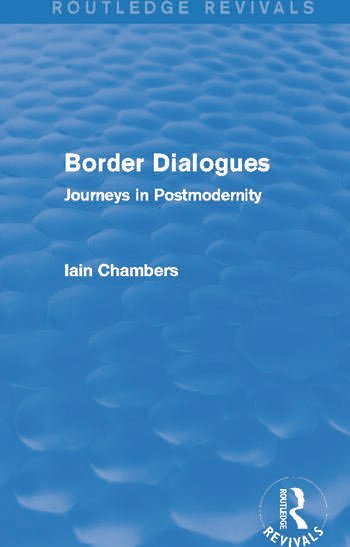 First published in 1990, Border Dialogues explores some of the territories of contemporary culture, philosophy and criticism. It touches on arguments surrounding Nietzsche and Italian ‘weak thought’, the mysteries of being ‘British’, and with more immediate concerns such as computers, fashion, gender and ethnicity. The chapters explore how such different strands are joined together, and how this can lead to a reassessment of contemporary cultural criticism. This innovative and interesting reissue will be of particular interest to students of critical theory, cultural studies, radical philosophy and deconstruction.